Blue Bell/Pottstown, PA —Area residents interested in career opportunities in restaurants, casinos, corporate dining operations, grocery stores or senior living facilities are invited to attend two upcoming job fairs hosted by The Culinary Arts Institute of Montgomery County Community College in Lansdale, Pa. on March 7 from 10 a.m. to 1 p.m. Dress for success, bring an updated resume and get ready to meet employers, gather information and apply for jobs. The Culinary Arts Institute is located at 1400 Forty Foot Road in Lansdale. 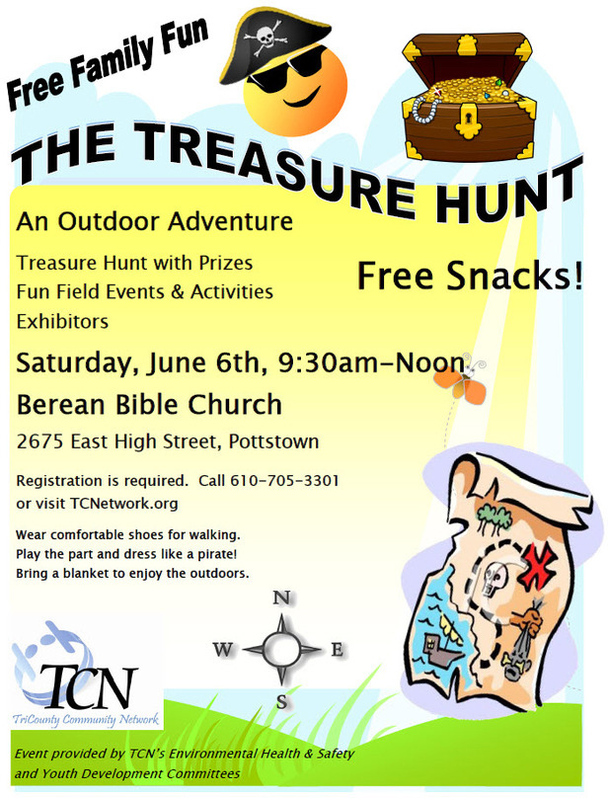 For more information, call 267-646-5970. For more than 50 years, Montgomery County Community College has grown with the community to meet the evolving educational needs of Montgomery County. 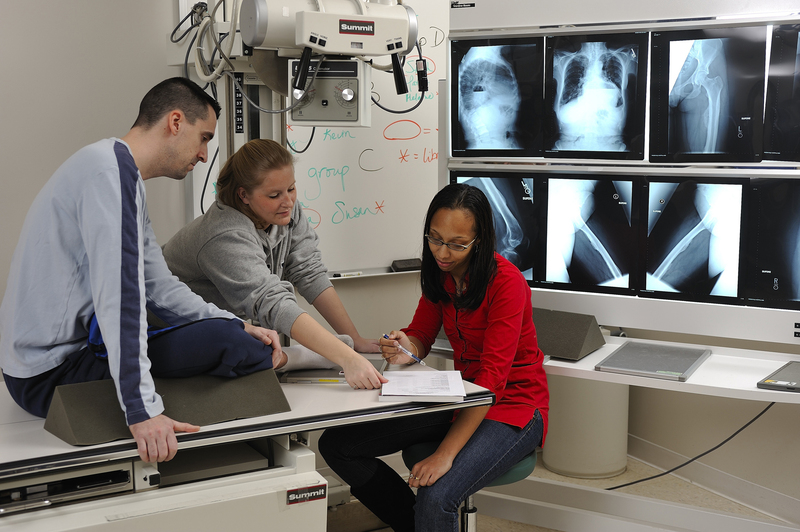 The College’s comprehensive curriculum includes nearly 100 associate degree and certificate programs, as well as customized workforce training and certifications. Students enjoy the flexibility of learning at the College’s thriving campuses in Blue Bell and Pottstown, at the Culinary Arts Institute in Lansdale, and online through a robust Virtual Campus. Blue Bell/Pottstown, PA — Knowing how to use software such as Microsoft Excel Analytics is essential for today’s middle-skill occupations, such as store manager, retail supervisor and administrative assistant. To assist people who need these vital software skills, Montgomery County Community College’s Center for Workforce Development (CWD) is offering scholarships for an online, non-credit Microsoft Excel Analytics course. Thanks to a generous gift from the Montgomery County Economic Development Corporation (MCEDC), CWD is able to offer these scholarships, which cover the entire course fee and provide access to the online learning tool, “SNAP,” for the first 28 participants who register. The scholarships are available on a first-come, first-served basis. The Microsoft Excel Analytics course introduces the concept of data analytics and its applicability to organizations. Using the latest software, students will learn how to organize and interpret data, conduct analyses and develop visually appealing and informative reports. They also will learn to how to evaluate and apply data to enhance business performance. Overall, students will learn how to apply critical thinking skills and analytics for making data-based decisions, which will enhance their leadership performance in their respective or prospective careers. While participants will not need to purchase any textbooks, they will need access to Microsoft Excel 2013 as well as the Internet. The self-paced course is held 100 percent online. Enrollment starts on May 1, and the course is active through June 30, 2016. Badges will be provided for mastery of competencies. The course also is aligned with the Microsoft Office Certification Excel exam. For more information about the course or to register, contact: Geraldine Rosetti at 215-461-1127 or grossett@mc3.edu or Marge Philippsen at 215-641-6374 or mphilipp@mc3.edu. The scholarships for the Microsoft Excel Analytics course is one of the workforce training initiatives MCCC is able to offer to the community as a result of receiving a matching grant of $2,177,471 from MCEDC in 2015. This gift established an endowment supporting MCCC’s expertise in educating and training students for regional jobs and careers. Since it is a matching grant, donations have double the impact in funding vital workforce development initiatives. The first distribution from matched funds is supporting four initiatives: an Innovation and Sustainability Hub Learning Lab for Hydroponics and Aquaponics, Advanced Manufacturing training and support, Workforce Skills Modules in Information Technology and Manufacturing and a Software Developer Academy. MCEDC’s grant started a new chapter in community college philanthropy and its matching gift challenge presents the community with the opportunity to invest in tomorrow’s workforce. To discuss funding opportunities or personal goals in making a gift in support of the match, contact the Foundation at 215-641-6529. Trails, programs, conferences, mobile lab and more! 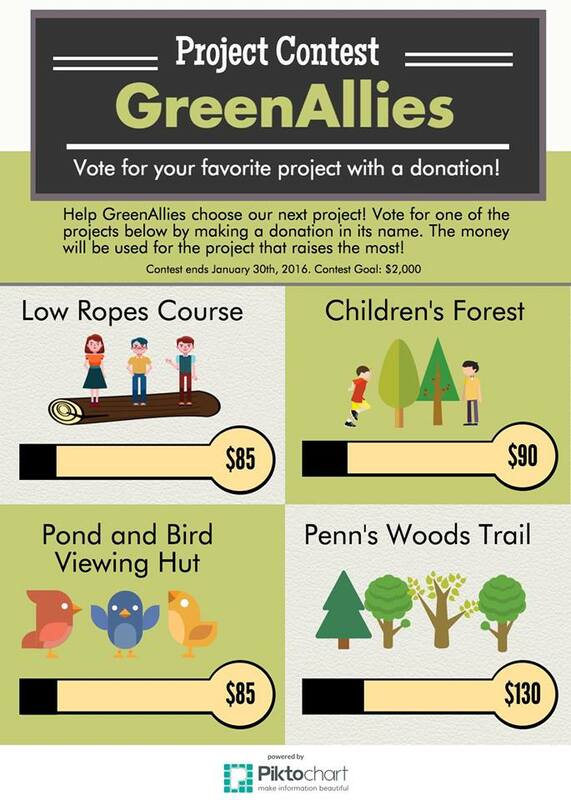 Read about all the accomplishment of GreenAllies and the Althouse Arboretum in their first year! Tori Bateman, one of our college interns, put together this entertaining and educational report. As you read it see if your name or picture is in it! Join us! All invited! Find out what’s happening, student projects, new opportunities and more! We are a group of interested friends, neighbors, and students who come together once per season to learn, exchange ideas, and discuss possibilities for enriching the Arboretum experience for the community. We have some new ideas we’d like to share. Hope you can come! We’ve posted our programs for the coming year. There are children’s programs and adult and family programs. Some details will be added as we go and we’ll keep you posted on the website, on Facebook and in this newsletter. Area high school students are invited to attend a three month class starting February 24th on growing and selling native plants. Here’s more information. Ken Hamilton was awarded the prestigious Schuykill Highlands 2015 Trails and best Practices Award at their annual awards meeting. See more here. Find even more events and programs as well as information and history about the Arboretum, and even a wish list. Check it out there! All these projects are worth while and will eventually get done but the project with the most votes gets all! Make your tax-deductible vote NOW for your favorite project! Please drop off only during recycling hours. 10am to 3pm – Come any time! Join the fun! We create and maintain the trails, activity areas, and other features of the Arboretum, plant gardens, work on the house and more! Bring the entire family, introduce friends or make new ones at this new community resource. Blue Bell/Pottstown, Pa.— Coming off its most successful finish in eight years of competition, Montgomery County Community College (MCCC) is gearing up for RecycleMania 2016, a national tournament among colleges and universities designed to increase student awareness of campus recycling and waste minimization. The 2016 competition begins Feb. 7 and continues through April 2. Historically, MCCC excels in RecycleMania’s Waste Minimization category. The category measures an institution’s total waste—trash and recycling collected during the eight-week competition—and divides it by the number of students, faculty and staff on campus to calculate the amount of waste per person. In 2015, MCCC collected 8.395 pounds of waste per capita, which was the lowest amount collected among competing Pennsylvania institutions and the sixth lowest among all competing U.S. colleges and universities. During the 2015 RecycleMania tournament, 394 institutions recycled or composted 80.16 million pounds of materials, preventing the release of 129,411 metric tons of carbon dioxide equivalent (MTCO2E) into the atmosphere. According to the U.S. EPA’s Waste Reduction Model (WARM), MCCC’s recycling efforts during the competition resulted in a greenhouse gas reduction of 33 MTCO2E, which translates to the energy consumption of three households or the emissions of six cars. In addition to Waste Minimization, other RecycleMania categories measure the amount of total recyclables, the amount of recyclables per capita and overall recycling rates, among other data. RecycleMania is made possible through the sponsorship support from the Alcoa Foundation, The Coca Cola Company, Rubbermaid Commercial Products and CyclePoint. Partner organizations include Keep America Beautiful, U.S. EPA Waste Wise, the College and University Recycling Coalition (CURC), the National Wildlife Federation – Campus Ecology, and the Food Recovery Network. To learn more about the RecycleMania 2016 competition, visit http://www.recyclemaniacs.org. Blue Bell/Pottstown Pa.—A total of 182 students were inducted into Montgomery County Community College’s (MCCC) Alpha Kappa Zeta (Central Campus) and Beta Tau Lambda (West Campus) chapters of Phi Theta Kappa (PTK), the international honor society of two-year colleges, during the fall 2015 semester. To be eligible for PTK membership, students must maintain a grade point average (GPA) of at least 3.5 and must have completed at least 12 credits. Pottstown, PA – On Saturday, January 9, 2016 from 11:00am to 3:00pm, historic Pottsgrove Manor will host “Distaff Day,” showing the art of spinning fibers into thread. From medieval times, the day after the Feast of the Epiphany was known to many Europeans as “Distaff Day.” The distaff, a tool used in spinning, was a symbol of female industry, and Distaff Day was traditionally when women resumed their work after the Twelve Days of Christmas. During this program, visitors will see demonstrations of traditional spinning techniques and learn about the natural fibers that were used to make yarn and thread for textiles. This event will also give guests a chance to enjoy a guided tour of the manor house for the holidays, in the final “Twelfth Night Tours” of the season. There is a suggested donation of $2.00 per person for this program. The museum shop will also be open throughout the event and will be having a special one-day-only sale – 10% off everything in the store! The seasonal “Twelfth Night Tours” are running now through Sunday, January 10, 2016 during regular museum hours: Tuesday to Saturday from 10:00am to 4:00pm and Sunday from 1:00pm to 4:00pm. Tours are given on the hour. The last tour of the day begins at 3:00pm. The site is closed Mondays and major holidays. Groups of 10 or more should pre-register by calling 610-326-4014. What do you do when you have worked your way out homelessness and turned your life around? You help others achieve the same goal, of course. And if you are Julia Zion, you start Nom Prophets. 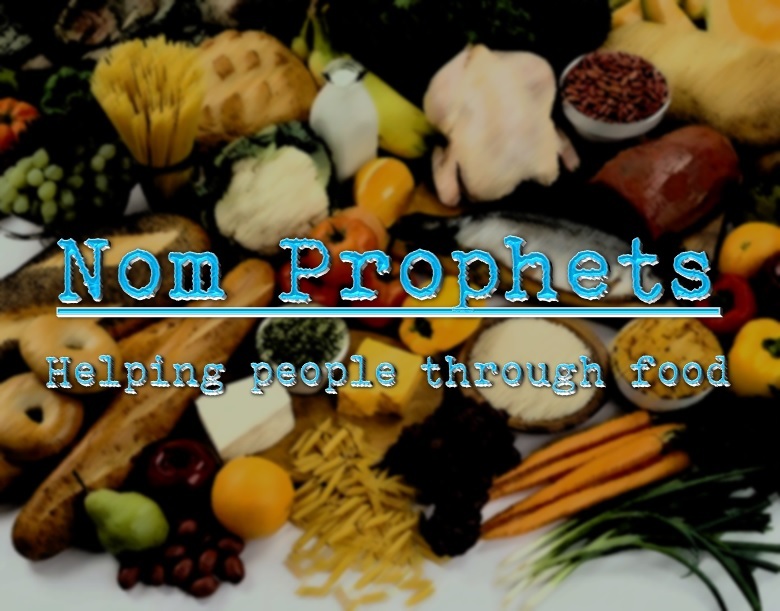 Nom Prophets was formed in November of this year and is a 501c3 nonprofit organization. Nom Prophets has a 6-person Board of Directors who work with Julia towards this goal. Julia wants to give back for all the help she received along the way. Being homeless and lacking job skills is a vicious cycle. Unless someone takes a chance on hiring you, many doors are closed. Without a job, you cannot afford basic necessities like food and shelter. Without a permanent residence, it is hard to get a job. As Julia pointed out in our interview, there are jobs in the food industry and with some training and experience those jobs can be had. This new venture is an extension of what Julia has been doing for the last several years serving meals to the poor/homeless and helping in shelters. Julia’s ultimate goal is to expand on those kinds of services through the use of food in the general area of food and food services. Pottstown residents may remember the meals at Washington Street Park, for example. The short-range goal is to buy a food truck through fundraising. It would either be new or a retrofitted truck, depending on the results of the fundraising. Zion hopes they can get a food truck operational by the summer. By going out and using the food truck she hopes to fund the nonprofit. The food truck will also enable Nom Prophets serve the poor in parks, churches and or shelters. Food trucks are certified and inspected kitchens which guarantee food safety and permit issues (in many cases). There are several ways Nom Prophets is trying to raise money. They are selling homemade salsa, which you can buy at iCreate Café, 130 King Street, Pottstown and Daniel’s Produce and Dairy at 219 High Street, Pottstown. They also hope to have gift baskets available in the near future. 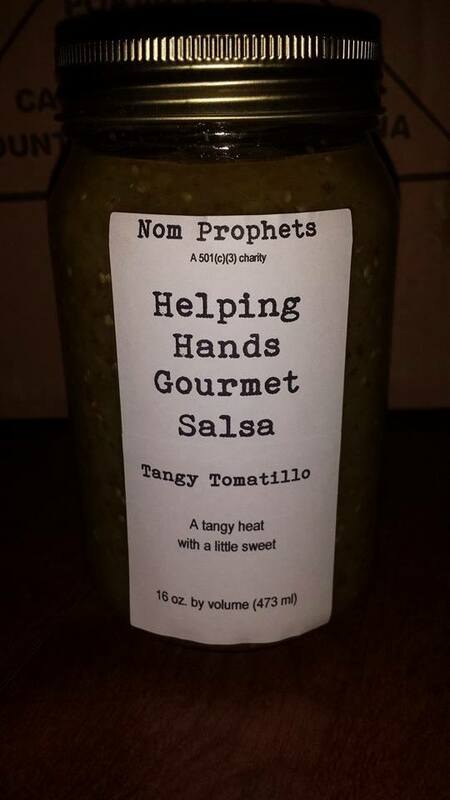 Nom Prophets is scouting other locations, in the Berks County area, to sell their salsa and gift baskets. 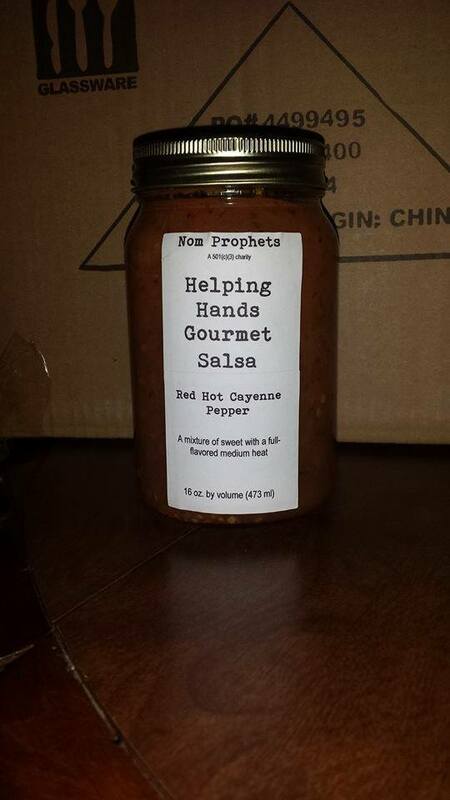 If your business or organization would like to stock these items, you can contact Nom Prophets. They would be glad to work with you! Having experienced homelessness herself, Julia feels people need compassion, stability and a self-esteem boost. Being poor, disadvantaged and/or homeless is demoralizing. The shelter system is temporary and there is no sense of stability. This causes anxiety and low self-esteem. Julia found a new sense of self-worth and happiness once she was gainfully employed and had her own place to live. She wants to help others find their way out of homelessness and poverty so they can lead full, productive and happy lives. After all, we are talking about human beings. Human beings deserve to be treated with dignity and respect. The common misconception is that people in these circumstances do not want to work and are lazy. The problem is without job skills, and in many cases experience, you are unemployable. You cannot be self-supporting on minimum wage. Without skills you cannot get a better paying job. Another employment barrier is the cost of obtaining a Safe Serve certification. Having this certification helps you land a job and command more money in the food industry. However, it can cost several hundred dollars. For many, this may not seem like much money. But if you have no money, it might as well be a million dollars. Nom Prophets wants to help people get this certification along with teaching them knife skills and giving them experience in a professional kitchen so they can apply for a get a job in the food industry that pays a living wage. The long-range goal would be to eventually have a brick and mortar location with a professional kitchen, restaurant and housing for those in the program while they train. Blue Bell/Pottstown, Pa.—Montgomery County Community College (MCCC) will observe Veterans Day on Nov. 11 with events designed to honor those who have served and to educate the community about student-veterans’ issues. To begin the day, MCCC’s Veterans Resource Center will host a breakfast for college and community veterans from 8:30-10:30 a.m. in College Hall room 147 at MCCC’s Central Campus, 340 DeKalb Pike, Blue Bell. Community veterans are invited to join MCCC students, faculty and staff veterans on campus for free breakfast and conversation. All are welcome! MCCC’s Veterans Day observance continues at 12:20 p.m. with a panel discussion, titled “From Combat to College,” in MCCC’s Advanced Technology Center room 101 at the Central Campus, with simulcast to North Hall 218 at the West Campus, 101 College Drive, Pottstown. Sponsored by MCCC’s Center for Faculty Development and Veterans Resource Center, the one-hour discussion will explore veterans’ perspectives on their transition from military to a college environment. Panelists will discuss what it means to be a veteran and a college student and what factors can help or hinder veterans’ reintegration into academic life. Dr. Ann Marie Donohue, associate professor of psychology and faculty advisor to MCCC’s Student Veterans Organization, will moderate the panel discussion. Panelists include MCCC student veterans Hector Figueroa, Dansel Landingen, Joe Long and Bernadette Parker, along with MCCC’s Coordinator of Veterans’ Services Michael Brown. The panel is free of charge and is open to the public. With 379 student veterans currently enrolled, MCCC is committed to implementing support strategies that reduce barriers faced by student veterans as they complete their education. The College provides a Veterans Resource Center, where student veterans can work with a specialized veterans’ services coordinator to ensure they get the most out of their VA benefits and obtain or transfer college credits for military education courses and applicable experience. A peer support group further assists veterans with the transition to college and also offers advocacy and education on veterans’ issues in the community. To learn more about veterans’ services at MCCC, visit http://www.mc3.edu/student-resources/vrc. On Tuesday, September 15, 2015, Senator John Rafferty is hosting a “Here To Help Job Fair” for residents of the 44th State Senatorial District. This Job Fair is designed to be an opportunity for job seekers to connect with businesses and organizations within the region who are seeking qualified employees. 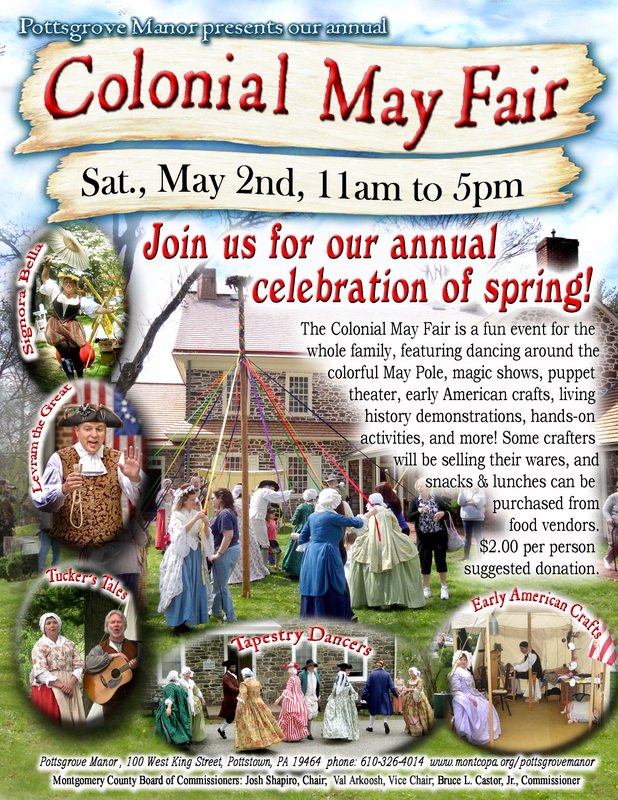 The event will take place from 10 a.m. – 1 p.m.
at the Sunnybrook Ballroom: 50 Sunnybrook Road, Pottstown, PA 19464. This event is being held in partnership with TriCounty Community Network. It is with mixed emotions that I announce my resignation as Executive Director for TriCounty Community Network (TCN) to pursue another opportunity. My last day will be July 17th. It has been an honor leading TCN these last five years. I am most proud of our completion of a comprehensive strategic plan which resulted in a new direction, mission and vision for the organization and led to successful new initiatives and increased engagement. TCN is now seen as a model for effective community collaboration. I would like to take this opportunity to thank the Board of Directors for their guidance and leadership. The Board’s volunteer service has been invaluable to the growth and development of the organization and I am grateful for their support. I would also like to thank the staff, contractors, advisors, and committee chairs for their dedication and hard work. Their outstanding teamwork has been vital to TCN’s success. Special thanks to our members and volunteers. I have been inspired by your engagement and level of commitment to the organization and the community. Your collaborative efforts have brought important and much needed projects and events to the tri-county area. My sincerest thanks to all partners, funders, sponsors, and donors for supporting the mission of TCN. I would like to recognize the Pottstown Area Health & Wellness Foundation for their generous financial support and for being such a valuable community partner. It has been a privilege to work with so many wonderful people committed to improving conditions in our community. I am truly grateful for all the contributions made to help move TCN forward and wish everyone continued success. TCN’s Board Of Directors wishes to express our gratitude to Jen Doyle for her years of service and leadership to Pottstown and to the TriCounty Community Network. Jen’s leadership and vision has helped place TCN in a position where it will be better able to meet the challenges of the Pottstown community in future years. We wish Jen well in her new career path. We are currently in the process of selecting a new Executive Director who will lead TCN’s future. We will work quickly to select a leader who will best exemplify the vision and mission of a true community collaborative. It is our expectation to have this person named by August 1st and in place for the start of the programming year in September. In the interim, we are grateful to Jan Morris for her willingness to step in and serve as Interim Executive Director until we hire a replacement. Jan’s wealth of knowledge in the history of the organization, plus her connections in the community, will serve us well in the coming weeks. We thank each organization in the TCN community for their support and commitment to Greater Pottstown. We strive to exemplify the best practices of a community collaborative and value the input of our membership and stakeholders as part of that process. Please contact me directly at tthunstrom@pennlibertybank.com or by phone (610.535.4881) if there is anything that you feel we should know that can help us better meet the mission and vision of TCN in the coming years. The board believes that its membership is the keystone to TCN’s success and a true part of helping this community achieve great results. We look forward to your continued support and commitment to the organization under the leadership of Jen’s successor. Blue Bell/Pottstown, Pa.—Ninety-one students from Montgomery County Community College’s Class of 2015 were named to Who’s Who Among Students in American Junior Colleges. To qualify for Who’s Who, students must be graduating during the 2014-2015 academic year with a grade point average of at least 2.75 and must be nominated by a member of MCCC’s faculty or staff. Blue Bell/Pottstown, Pa.— A total of 1,457 students graduated from Montgomery County Community College with 1,473 associate’s degrees and certificates during the 48th Commencement ceremony on May 21 at the Central Campus, 340 DeKalb Pike, Blue Bell. The 2015 graduates are listed by area of residence. BlueBell/Pottstown, Pa.—Montgomery County Community College’s (MCCC) Medical Assisting program recently received full reaccreditation through 2022 from the Commission on Accreditation of Allied Health Programs (CAAHEP) upon recommendation from the Medical Assisting Education Review Board (MAERB). The eight-year accreditation is the maximum award possible, and MCCC met CAAHEP’s required standards and objectives without any recommendations or suggestions. Introduced in 2003, the 34-credit Medical Assisting certificate is comprised of classroom instruction, on-campus laboratory simulations and practical experience at affiliated clinical sites. The program is offered at both MCCC’s Central Campus in Blue Bell and West Campus in Pottstown. A total of 222 students have graduated from the program over the past 12 years. Medical assistants perform administrative and clinical tasks that keep the offices of health practitioners running smoothly. “Nationally-credentialed Medical Assistants assist in meeting the community’s workforce demands for qualified health care professionals,” said Kathleen Schreiner, director of medical office professions at MCCC. Graduates from the MCCC’s program qualify to complete the American Association of Medical Assistants (AAMA) certification examination for Certified Medical Assistants (CMA) and/or the American Medical Technologists (AMT) certification examination for Registered Medical Assistants (RMA). Medical Assisting graduates may choose to enter the workforce immediately upon certification or may apply their credits toward MCCC’s Associate in Applied Science (A.A.S.) degree in Health Services Management. According to the U.S. Bureau of Labor Statistics’ “Occupational Outlook Handbook,” employment opportunities for medical assistants are expected to grow by 29 percent through 2022, which is significantly higher than the average growth rate of 11 percent for all occupations. In 2012, the median wage for medical assistants was $29,370, nationally. 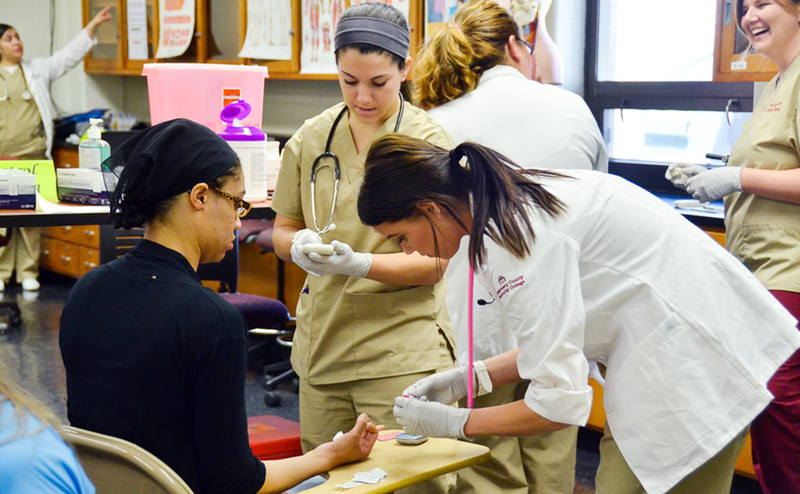 To learn more about Montgomery County Community College’s Medical Assisting program, visit http://www.mc3.edu/academics and choose Areas of Study, followed by Health Sciences and Medical Assisting. You’re invited to an educational and entertaining program where you can learn about today’s leading scams and schemes, such as insurance and investment fraud, identity theft, and other cons targeting the 50+. Come to get your questions answered by consumer protection experts and visit related exhibits. *The Berean Bible Church is located in Sanatoga, near Cutillo’s Restaurant (across the street). Free parking! Doors open at 12:30 and light refreshments will be served! To RSVP or for more information, please call the AARP event registration line at 1-877-926-8300 and tell the operator you would like to register or click HERE. AARP is fighting for you, and the Fraud Watch Network is just one of the many ways we give you tools to help you protect your family’s financial security. Think you know AARP? What we do in Pennsylvania may surprise you.